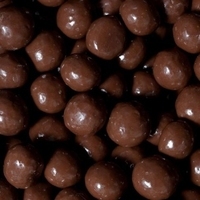 Lightly Roasted Australian Almonds,smoothly coated in our Belgian Chocolate Couverture. Also available in Milk Chocolate. 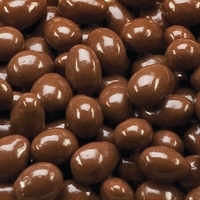 Lightly Roasted Australian Almonds,smoothly coated in our Belgian Chocolate Couverture. Also available in Dark Chocolate. 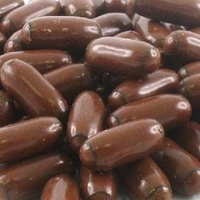 Traditional Milk Chocolate Coated Licorice Bullets. Also available in Dark Chocolate. Candy coated milk chocolate aptly named due to its resemblance of small colourful rocks. A must for all kids!! Rich Belgian Chocolate Couverture Buttons. Perfect For Fondues, Cooking Or Eating Straight From The Pack.Also available in Milk,White and Mixed. Lightly Roasted Australian Macadamia Nuts,smoothly coated in our Belgian Chocolate Couverture. Also available in Milk Chocolate. Lightly Roasted Australian Macadamia Nuts,smoothly coated in our Belgian Chocolate Couverture. Also available in Dark Chocolate. 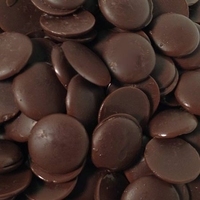 Rich Belgian Chocolate Couverture Buttons. Perfect For Fondues, Cooking Or Eating Straight From The Pack.Also available in Dark,White and Mixed. Peanuts,Almonds,Sultanas,Hazelnuts,Cashews and Pecans coated in a mixture of Milk,White or Dark Belgian Couverture.